You might not like this review. Then again, it might give you renewed hope that the high end is advancing. 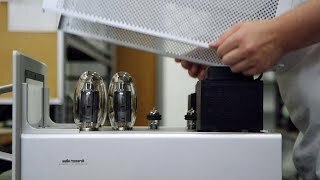 If you’re of a mind that what’s most important about high-end audio are the different flavors of sound it makes available, and discovering which among them best suits your palette, then this article might make you feel a little uncomfortable. However, if you’re on a quest for high fidelity -- faithfulness to the source -- because you believe that is what will get you closest to your music, then read on: The Q3 is real news. The Q3 ($38,950 USD per pair) is California-based Magico’s follow-up to their highly lauded flagship speaker, the Q5 ($59,950/pair). A pair of Q3s comes in a single large wooden crate with a shipping weight of 576 pounds; unpacked, each speaker measures 47"H x 10.5"W x 16"D and weighs 250 pounds. 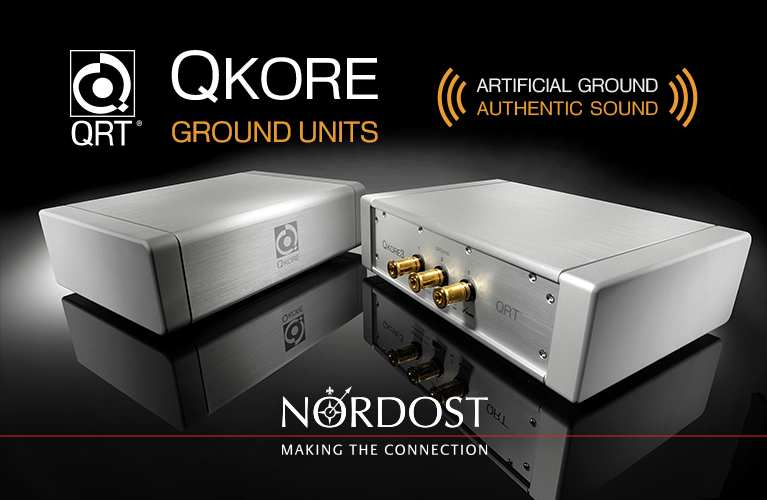 The Q3’s claimed frequency response is 26Hz-50kHz, ±3dB, its nominal impedance 5 ohms, and its minimum impedance 2.8 ohms. Included are stainless-steel spikes that can be leveled and used with any floor surface, as well as matching cups to protect wood floors. A single pair of binding posts is positioned at the bottom of the rear panel. The build quality is simply extraordinary -- I could find no flaws in the bead-blasted-and-anodized aluminum finish. The color of the speaker seems to be a "soft" black that is almost dark gray, rather than the stark black of most audio components clad in aluminum. This gives the Q3 an understated appearance that’s classier than mere hard metal. The Q3 is a three-way, five-driver, sealed-box design with a plethora of interesting technical features. First, the Q platform’s cabinet: CNC-machined from T6061-grade aluminum, it’s made entirely in-house by Magico’s staff. 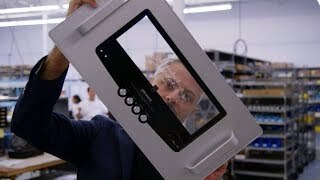 If you saw the Magico factory tour I conducted in March of this year, you’ll know that the company bought its own CNC machine shop, and that they can now manufacture their speaker cabinets entirely themselves, except for the anodizing (a process heavily restricted in California). The Q3’s outer shell is made of 1/2"-thick panels strongly braced by an internal aluminum matrix. Individual compartments are partitioned off with, you guessed it, more aluminum panels, and the use of machine screws throughout to fasten together the component parts avoids the glue-and-clamp techniques usually used to build speakers. In fact, making a Q enclosure is more like building a high-tech machine than crafting furniture. 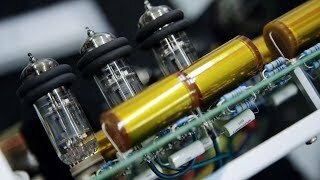 The reason for all that aluminum in the Q models -- and the brass rods that connect front panel to rear -- is to build an enclosure that is massive and stiff: two of the three properties that a properly performing speaker cabinet must have to keep cabinet resonances to an absolute minimum, so that they don’t distort the output of the drivers. However, the third property of a good enclosure design, damping, is not an inherent strength of aluminum. This is accomplished in the Q3 with the use of constrained-layer construction for the joined panels, and by the liberal application of damping materials on the interior surfaces. The result of this trifecta of mass, stiffness, and damping is a cabinet that is as dead as the proverbial doornail. The Q3’s drivers, too, are all built by Magico, which makes this small company somewhat of a rarity in the world of super-high-end speakers. 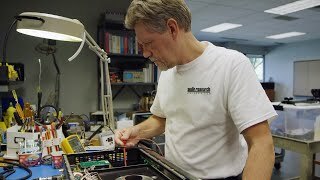 Most outfits that make low-volume, high-priced speakers buy their drivers from original equipment manufacturers (OEMs) such as Scan-Speak, SEAS, SB Acoustics, and Vifa. These drivers can be quite good, and their manufacturers often work with speaker makers to provide semi-custom solutions, the results of which can be impressive -- or not. In fact, you’ll see some of the same OEM drivers in many different models of speaker from multiple brands, which makes it hard to differentiate in any meaningful way one product from the next. In a worst-case scenario, some companies simply have their names stamped on the frames of an OEM’s off-the-shelf drivers, then claim that these are their own "in-house designs." Magico does things differently. The company’s chief technical officer, Yair Tammam, a master’s-level physicist, engineers the Magico drivers from the ground up; then, using Magico tooling, he oversees the manufacture in Israel. In short, you won’t see Magico’s Nano-Tec drivers in speakers made by any other company. Each Nano-Tec cone consists of two different weaves of carbon fiber sandwiching a Rohacell core. A coating is applied to the outside of the cone that includes carbon nanotubes, which help stiffen and strengthen the entire structure. The result is a cone whose primary breakup mode -- that is, the frequency at which the cone first resonates -- is at least two octaves above the driver’s passband. This makes the Nano-Tec drivers’ operation purely pistonic within their operating bandwidth and beyond. The Q3’s fourth-generation Magico driver designs include some notable technical details. The 6" midrange driver, for instance, is specifically designed for high displacement, and the three 7" woofers are notable for their very high sensitivity, which leads to the Q3’s overall sensitivity rating of 90dB/W/m. These 7" cones sport titanium voice-coils 3" in diameter for high power handling and efficient heat dissipation, as well as neodymium magnets for greater efficiency and control of the cone. The Q3’s tweeter is Magico’s MBe-1 model, also built in-house. Magico doesn’t manufacture the beryllium dome itself -- only several companies in the world do this dangerous work (beryllium is extremely toxic) -- but they designed and make the chassis and magnetic system. 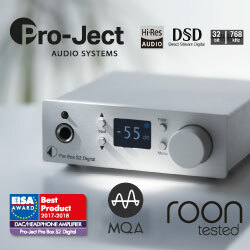 The 1" dome reportedly has higher power handling, lower distortion, and a wider bandwidth (linear operation to 50kHz) than the company’s first tweeter, the MR-1 ring-radiator, which is used in Magico’s less-expensive V2 model. All of the Q3’s drivers (except the tweeter, which is mounted directly to the front baffle) are mounted on a secondary aluminum plate located directly behind the teardrop-shaped front panel, a technique that essentially sandwiches the drivers between two pieces of aluminum. This system permanently clamps the drivers to the baffle assembly so that they can never move. This also provides the drivers with a stiff surface from which a perfect wavelaunch can be attributed. Magico strongly advocates this driver-mounting scheme, believing that attaching drivers to MDF in any fashion results in a poor coupling of wood to metal, and is bad for both accurate sound and long-term reliability. Speaking of reliability, you may wonder, as did I, what keeps all of the Q3’s machine screws tight over the long term. Answer: Each screw is locked in place with Loctite, an industrial adhesive that dries immediately after the screw is set. The Q3’s crossover uses Mundorf components made in Cologne, Germany. The crossovers themselves are wired point-to-point, and the entire crossover assembly is mounted on rubber grommets inside a dedicated compartment within the Q3. Magico speakers have what the company calls Elliptical crossover slopes. Essentially, this means that the drivers are rolled off more quickly than would an equivalent-order slope. For instance, a second-order slope would roll off the signal at 12dB/octave, whereas an Elliptical slope might roll off at greater than 20dB/octave, but without the phase shift that would occur with a typical fourth-order, 24dB/octave slope. The Q3’s internal wiring is solid-core, and is continuous inside the Q3 -- Magico believes in keeping wiring junctions to an absolute minimum. The Q3’s enclosure is sealed -- it has no port or vent -- and several aspects of sealed designs should be noted. First, the woofers roll off at 12dB/octave at the bottom of their operating range. Contrast that with a typical ported speaker, whose woofers would be rolled off at a steeper 24dB/octave, but whose bass extension would be augmented by a port below the woofer’s tuning frequency. Magico, and proponents of sealed-box speakers in general, would say that their speakers will play lower and more linearly in the bass because the drivers themselves are producing the bass output down to the lowest frequency the speaker is capable of reproducing, thereby avoiding the necessity of having a port contribute anything at all to the sound. The trade-off of a sealed design is, typically, lower sensitivity, but Magico counters that with their own driver designs, which, they claim, have inherently higher sensitivity and can handle more power than off-the-shelf drivers. All the Q3’s component parts are impressive, and I’ve given you rundowns of most of them. But what might be most impressive about the Q3 is the overall design process used to create it. For instance, Magico has the technical sophistication to examine their drive-units under dynamic conditions, correlating such performance characteristics as thermal behavior, nonlinear distortion, cone flexure, and other critical parameters, all modeled in real time. This is one example of the inherent advantages that a company like Magico has over those that simply buy their drivers from third parties. It took me a while to set up the Magicos in my listening room, the Music Vault. Whether or not this was because of the Q3’s sealed alignment -- I’m used to ported speakers -- I can’t say. I suppose it’s possible that ported speakers load my room differently than the Q3s did. It could also be that the Q3’s unique performance characteristics just required more precise dialing in. Whatever the case, I put in about four hours of positioning, listening, measuring, and fine-tuning of toe-in angle before I got what I felt was the very best the Q3s had to offer. The Music Vault is 23’6"W x 20’L, with sloping ceilings along its length. The space is heavily treated with diffusers, bass traps, and absorbent panels, and has been Alpha Certified for acoustic performance by Terry Montlick Labs. The Q3s ended up 4’ from the front walls (measured from their front baffles to the wall), 4’7" from the sidewalls, 13’ apart, 15’ from the listening position, and toed-in so that, from my seat, I could see just a smidge of the inner sidewalls. Most of my speaker reviews focus heavily on tonality: How far does the speaker’s frequency response deviate from neutrality? Then, typically, I explore such areas as resolution and transparency, dynamic range and compression, and soundstaging and imaging. Each of these boxes must be checked before I feel I’ve given an accounting thorough enough to help the reader create a clear mental image of how that speaker might actually sound. The Magico Q3 challenged my S.O.P. 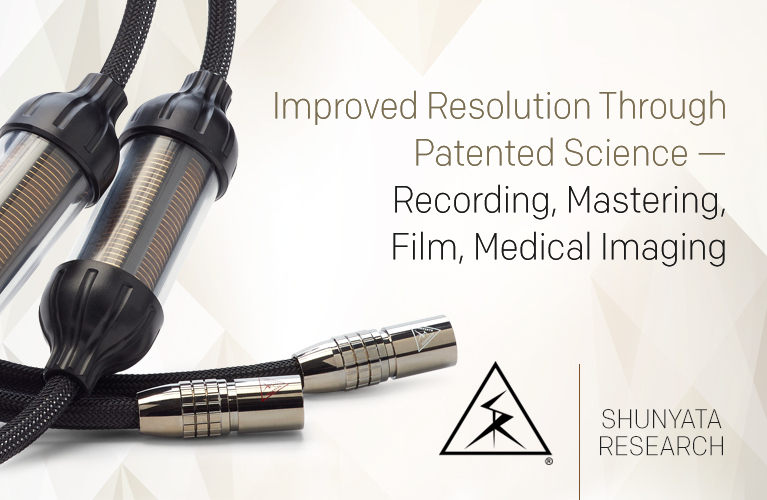 more than any other speaker I’ve ever reviewed. First, music did sound different through the Q3 from how it’s sounded through other speakers I’ve written about -- at least, every other speaker I’ve had in the Music Vault. From the start, one thing stood out: The Q3’s inherent sound seemed to lack something: noise, distortion, colorations -- whatever you might call the undesirable sonic artifacts with which most other speakers veil the musical signal. My first four or five days of listening to the Q3 were revelatory in this regard. I felt that I was, for the very first time, hearing only the music. I know that sounds dramatic, but that was my experience. I mined my collection of high-resolution recordings to explore this aspect of the Q3's sound. Tracks such as Richard Strauss’s Festival Entrada, from Jerry Junkin and the Dallas Wind Symphony’s Crown Imperial collection (24-bit/176.4kHz WAV, Reference HRx-112), was simply mind-boggling in its clarity and transparency. I guess I just hadn’t realized how much "stuff" overlaying the music I’m used to hearing. At whatever volume level I chose, from very soft to very loud, the amount of information retrieved by my system and reproduced by the Q3s was higher than with any other speaker I’ve ever heard here. For instance, the super-low-frequency organ underpinning during the first 30 seconds or so of Festival Entrada, while very low in absolute level, had such ultra-high levels of clarity and presence in my room that, in retrospect, it made the other speakers I’ve heard it through sound one-notey and homogenized. The best way I can describe it is that hearing the Q3s was like bypassing the typical loudspeaker interface altogether by hardwiring my ears directly into my system’s electronics. It was as if every bit of distortion -- noise, for lack of a better word -- had been removed from the sound, leaving in the room only the music itself. And man, was that something to hear. As I ponder how to digest this, I wonder if I’ve simply gotten accustomed to a certain level of noise and distortion in reproduced music through the years -- stuff I’d thought was part of the recording, and so was supposed to be there. The Q3s seemed to strip all of that away, floating in my room pure 3D images of performers and their music. This speaker was the perfect partner for high-resolution music. I think the Magico Q3 is capable of more deeply mining the information contained in hi-rez recordings than any other speaker I've had in my room -- a depth of musical information that makes hi-rez the real deal. Tonally, the Q3s sounded dead neutral, as I would expect from seeing their pancake-flat frequency-response graphs -- there’s little of interest to report in that respect. But just because the signal was flat doesn’t mean the music sounded flat. 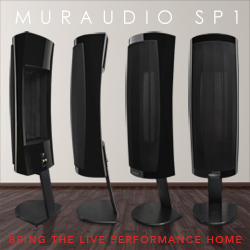 In the Music Vault, the Q3s’ soundstaging and imaging set new standards of three-dimensionality in real space. Several years ago, YG Acoustics’ original Kipod, though flawed in other areas, set a supreme standard for pinpoint imaging in my room that has stood unchallenged -- until now. The Q3s were even more precise. The instrumental separation from good recordings bordered on sonic holography. This precision made "The Girl from Ipanema," from Stan Getz and João Gilberto’s Getz/Gilberto (24/96 AIFF, Verve/HDtracks.com), sound staggering -- it was as if I were hearing everything laid down in those March 1963 recording sessions for the first time, even though I’ve heard this track hundreds of times. I could tell -- to the inch -- just how far to the right singer Astrud Gilberto was standing from Getz’s tenor sax. Her form was right there, just to the outside of the right speaker. This wasn’t the first time I’d heard images that spanned my room from wall to wall, but never has beyond-the-speakers imaging been rendered as absolutely precisely as between-the-speakers imaging. And I’d never heard a recording of a tenor sax sound so natural. Despite all this precision, the Q3’s sound was anything but tonally threadbare: it was full and dense when the recording called for it. But it was all the noise I wasn’t hearing that left the soundstage so easy to map; the performances taking place before me were seemingly devoid of any artifact that might have made the musicians run together, however slightly, in virtual space. Gone completely were the strings of distortion that link the sounds of performers within the soundstage. The musicians were truly liberated from what speakers typically do to them. Much has been said about "Magico bass" in the past several years, and I was anxious to get to the bottom of it (so to speak). For the record, the Q3’s bass response was different from what you’re likely used to hearing: It sounded, for lack of a better word, pure. Imagine the qualities in the highs that you hear from the absolute best ribbon tweeters and electrostatic speakers, then translate those characteristics -- superb transparency, instant-on speed, concussive transient impact -- into bass (down to below 25Hz in my room), and you’ll have a good idea of what I heard. This type of bass sound requires some getting used to. When I say pure, I don’t mean simple linearity, which you can EQ into the sound of any system and room. If that were all there was to it, we’d all be hearing about the same thing. Now, having listened to many bass-laden tracks of all sorts through the Magico Q3s, I believe that the act of reproducing low bass wreaks havoc on cabinets, driver cones, voice-coils, the entire speaker -- and that Magico bass is different because such artifacts were not, to any degree I could hear, produced by the Q3. The Q3 did have appropriate impact and weight when the music called for it, but it didn’t weigh down the entire bass range, or individual notes, with artifacts that made the music sound thicker and heavier than it really was. I listened to tracks as diverse as "Lady Marmalade," performed by Christina Aguilera, Lil’ Kim, Mýa, and Pink on the soundtrack of Moulin Rouge! (16/44.1 AIFF, Epic 50048), at over 100dB on peaks; and to "The Three R’s," from Jack Johnson and Friends’ Singalongs and Lullabies for the film Curious George (16/44.1 AIFF, Universal 611602). The latter’s opening kick drum has solid punch, heavy-handed weight, and real concussive impact. The Q3s not only made me feel all of that in my chest, they seemed to connect me directly to the microphone feed -- again, I felt as if my ears were hardwired straight into the electronics. I could see the strike, feel the impact, hear the decay. It was sensory overload -- in a good way. On July 1, I reviewed the Tidal Piano Cera -- a really, really good loudspeaker. I think that, at a retail price of $23,990/pair, the Piano Cera is fully competitive with the best the industry has to offer, and is far more musically compelling than many similarly priced big-name offerings that have been popular in years past. The Tidal is detailed in the highs, nicely weighted in the bass, clear in the midband, and blooms just enough in the very low end to make it sound generous and full with most music. Unfortunately, the Tidal Piano Cera came to my listening room just before the Magico Q3. The Q3 is decidedly quieter; the Tidal now sounds a touch loose and somewhat raspy by comparison. Listening to acoustic music, for instance, I felt I was hearing only the instruments in space through the Magico; the Tidal seemed to add a faint scrim of noise to each note, a single flaw that became a sonic roadblock: I couldn’t ignore it. The Magico played deeper in the bass by at least 5Hz, had more apparent top-end extension, and held together better with musical peaks, something particularly audible at the top end. The Q3 had greater dynamic range throughout the audioband, as well as an unrestrained sense of dynamic thrust that made the Tidal sound strained by comparison, particularly when challenged by very complex music. The Magico was ultracontrolled at all times, but never to the point of sounding constipated. Like the Tidal, the Magico let go of notes quite easily. The Magico Q3 was also truer in the midrange. Again, this was not really an issue of tonality -- the Tidal Piano Cera measured equally flat in the Music Vault. Unlike many of the "high end" speakers that crowd the market but can’t get even the basic engineering of frequency response right, both of these models were neutral in that regard. But the Magicos just sounded devoid of artifacts that I could easily hear when I then listened to the Tidals. What was that noise? I don’t know for certain. Cabinet resonances? Driver breakup? That’s mere conjecture from someone who doesn’t engineer loudspeakers for a living. What I can tell you is that the Magico Q3 sounded like nothing but the music. OK, I’m done beating up on the Piano Cera. It’s a killer speaker -- as long as you haven’t heard it side by side with the Magico Q3 -- and it totally laid waste to B&W’s 803 Diamond, which immediately preceded it in my listening room. But the Magico Q3 is as superior to the Tidal Piano Cera as the Tidal was to the B&W 803 Diamond. Imagine how much better the Q3 is than those engineering-challenged "superspeakers" of years past. If you’re shopping for your first flagship-level loudspeaker, today is your lucky day. 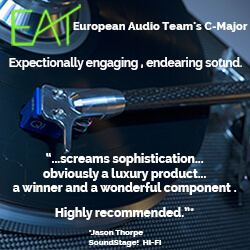 The Magico Q3 is the one to hear. If you’re thinking of replacing a speaker that, while perhaps fairly expensive -- maybe even much more expensive than the Q3 -- is just not living up to its promise of the highest fidelity, then you’ve found your upgrade. 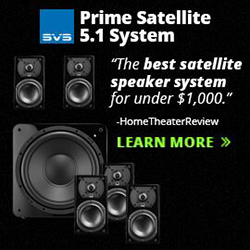 On the other hand, if you own -- and especially if you’ve recently bought -- any number of speakers costing around $50,000/pair or more and are happy with them, then I wish you had not read this review. But you still have a chance to escape: If you’re that guy, whatever you do, do not listen to a pair of Magico Q3s. If you do, you’re likely to come away knowing you’ve just heard something much better than what you have. 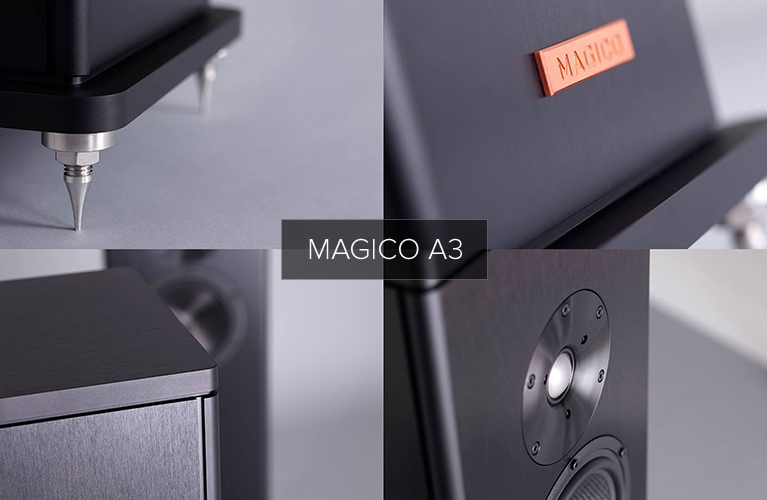 The Magico Q3 is a standard setter that liberates music from the impediments inherent to typical loudspeakers. It is for those of you who don’t like speakers but do love music. The experience of hearing the Magico Q3 is something truly unique. Folks, the Q3 is a bona fide state-of-the-art loudspeaker -- one that doesn’t cost a hundred grand a pair, or even close to it. Magico might just take over the loudspeaker world after all. Price: $38,950 USD per pair.